The 515 virtualMindmachine Energize (Beta) MP3 Session is 10:09 minutes in length. The session is in dual independent binaural beat frequencies in the Beta and Beta/SMR brainwave range for increased mental and physical performance. 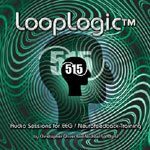 The 515 virtualMindmachine Energize (Beta) MP3 Session is 10:09 minutes in length. You can increase the time by simply pressing ‘repeat session’ on your playlist for however long you desire. The session is in dual independent binaural beat frequencies in the Beta and Beta/SMR brainwave range. This type of audio frequency stimulation results in longer brainwave entrainment than other types of frequency stimulation as shown on eeg/neurofeedback testing and is ideal for pre-physical exercise, motivation, jet-lag when traveling west and increased mental alertness.